A Japanese video game music composer and synthesizer programmer currently working at Square Enix. He first worked as a synthesizer programmer before becoming a composer. His first work as a composer is the PlayStation 2 soccer game World Fantasista. 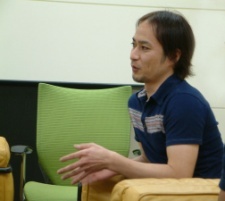 More recently, he has been working as one of the composers for the Final Fantasy series.